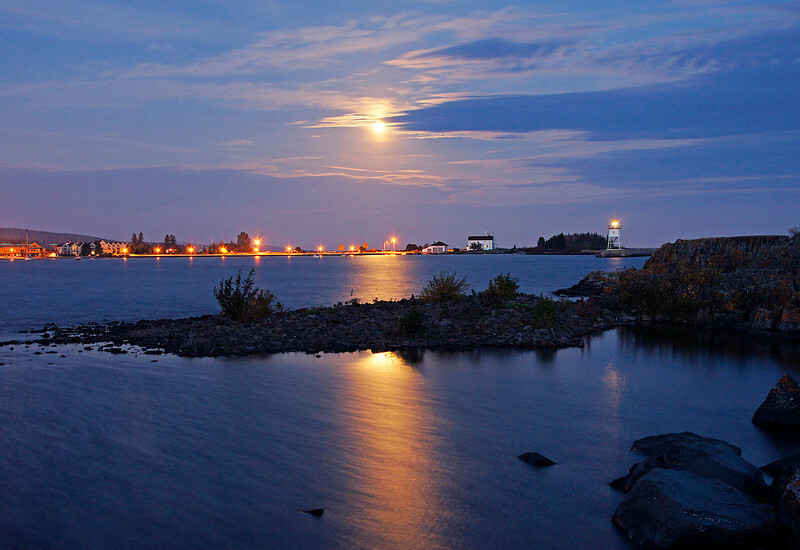 Upon arriving home, we were welcomed by the October Hunter’s moon rising above the Grand Marais harbor. The tremendously strong winds we had this week has taken a toll on the beautiful colored leaves that were still hanging on the trees. That said there are still a lot of beautiful subjects to photograph. 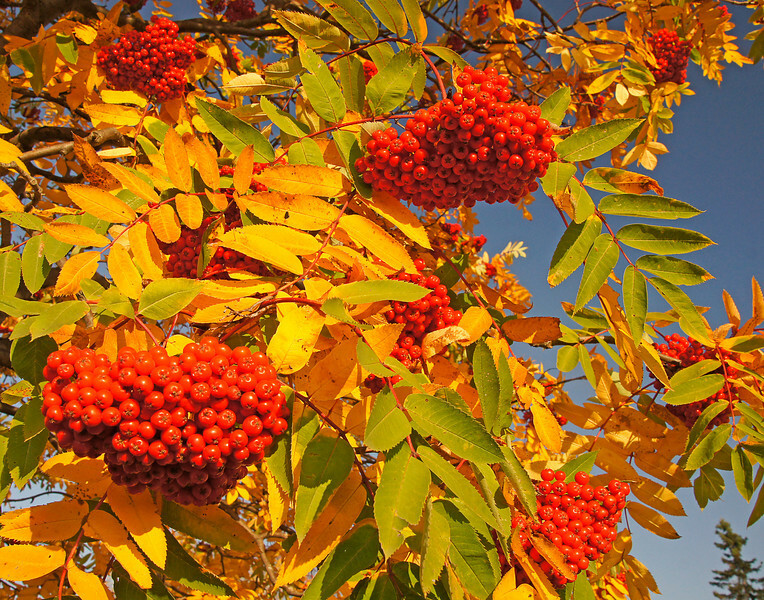 Usually the mountain ash leaves are the last to fall. 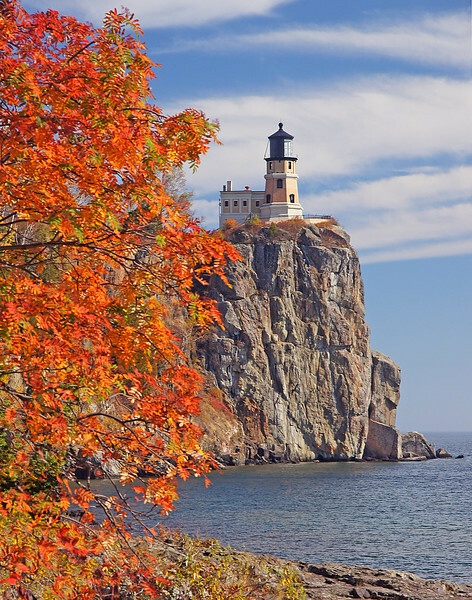 This tree at Split Rock Lighthouse held its leaves longer than any of the other trees around it. Karla and I tent camped for a couple of nights at McCarthy Beach State Park and were surrounded with the smells of autumn. Both nights were exceptionally warm for October. 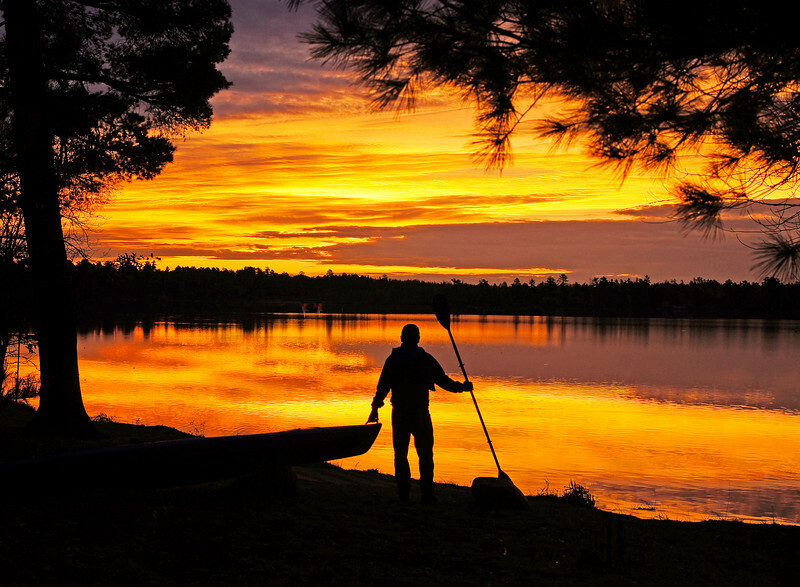 We rented kayaks one evening and planned to kayak the next morning when we woke to one of the more beautiful sunrises that we have experienced all year. 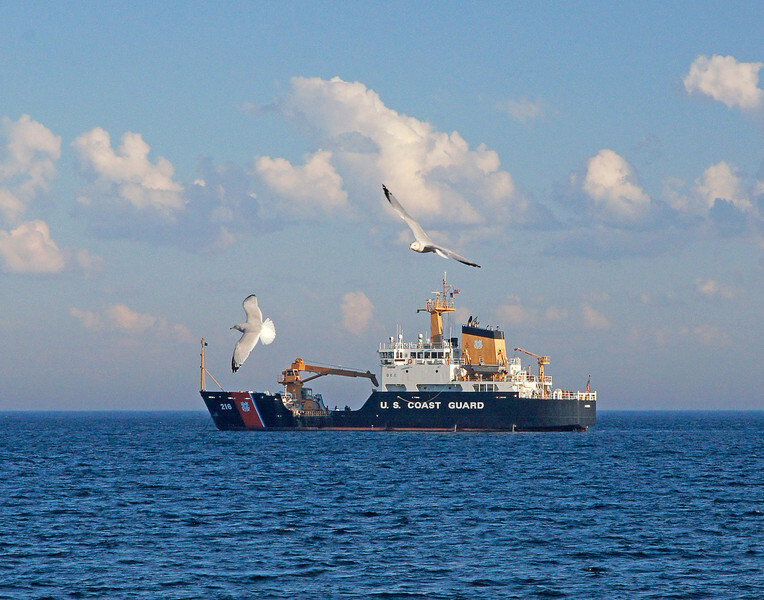 In Two Harbors, the Coast Guard was conducting training maneuvers in front of the Burlington Bay campground. Even the herring gulls seemed to be interested in the activity.